A mixed-use self-storage project just outside of uptown will break ground next month. Denver, Colo.-based Pamlico Investments won rezoning in May to develop a 117,000-square-foot mixed-use facility at the former Midwood Goods site at the intersection of 10th Street and Seigle Avenue. The project will contain 8,000 square feet of ground-floor retail, with the remaining space to be self-storage. It’s one of many similar projects popping up across the Queen City after Charlotte City Council voted last year to allow self-storage facilities within properties zoned for mixed-use development, with the condition that the projects include ground-floor commercial uses. Pamlico’s upcoming project, called Belmont Mills, sits on a nearly 1.4-acre site between uptown and Plaza Midwood, adjacent to Interstate 277. Groundbreaking is planned for next month and expected delivery for the project is third quarter of 2017. Sarah Thomas and Phil Corriher at The Chambers Group are leasing the retail space, with Corriher indicating the firm is targeting “neighborhood uses” such as restaurants, coffee shops, tap rooms and breweries, craft beer stores, and fitness facilities. 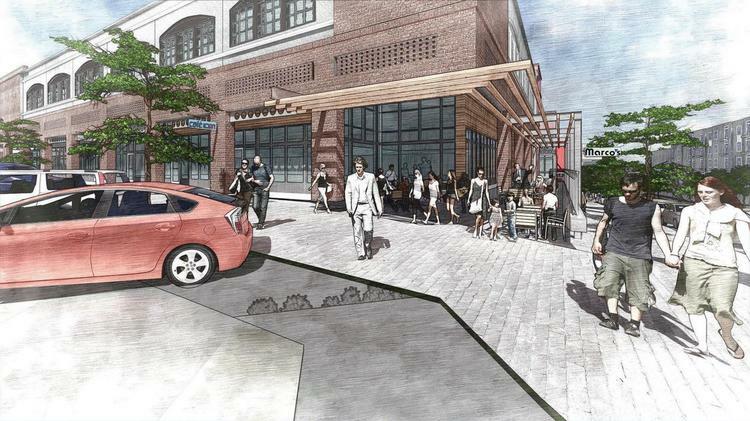 On-site parking will be available immediately in front of the retail space. Originally Posted on Charlotte Business Journal by Ashley Foley on 10/05/2016.